A used Challenger Baler with a holding hopper feeder and form fill and seal unit is for sale. This automatic machinery consists of an inclined holding hopper twin screw feeder, a weighing feed hopper, a baler with hydraulic power unit with a form fill and seal bale packaging machine. 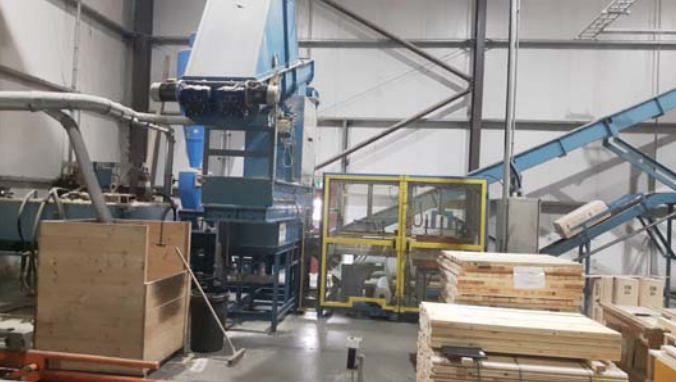 This machinery is capable of making up to 200 bales per hour of compressed woodshavings (or similar material) and the bale dimensions are approximately 340 mm by 400 mm by 750 mm. 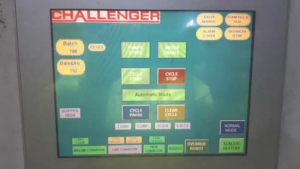 This equipment was initially manufactured by Challenger in circa mid-2011 and moved by us to its current location in 2015. The system will be decommissioned mid-April.